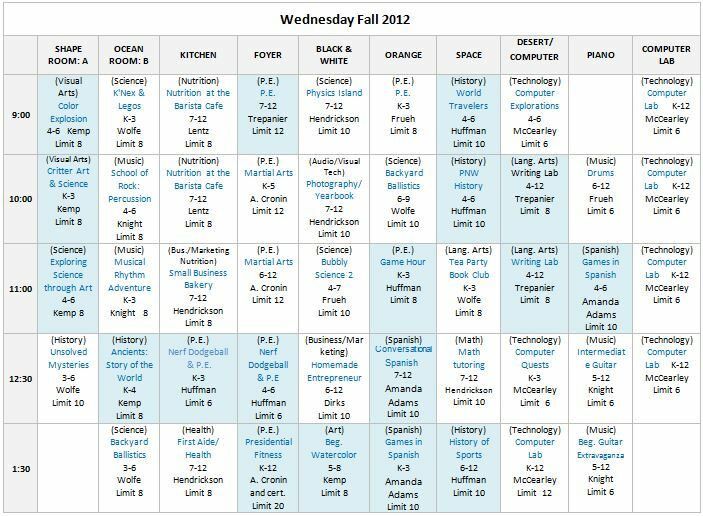 This is the schedule for the spring 2013 semester. The links below will allow you to download each day's schedule on 8 1/2 x 11 paper for easier reading. 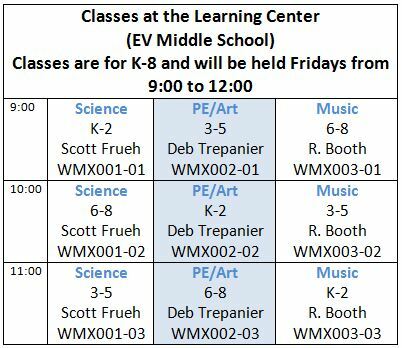 Descriptions are not yet available for the EVMS Friday classes. Blue shaded boxes are classes with certified teachers. The K-1 track class on Tuesdays is a two hour class. Students who choose this class will be signed up for both hours. The drama class is a 2-hour class. Students who sign up for one hour wil be enrolled in both hours.